Forget flowers and chocolate. Give the gift of words instead. They never wilt, they can't melt and there's a book out there for everyone. This Valentine's Day, Mackerel recommends ten books that are love stories of all shades, shapes and sizes. Cover photo by Geoff Livingston (CC BY-NC-ND 2.0). Everybody knows Yunior - he's that deadbeat who yawns loudly in class; he's the tough guy who gets into fights when somebody looks too hard at his girlfriend; he's the flunkee who wants to go to university but can't be arsed to even get his diploma. But he's also the guy who drops coins into a busker's tattered guitar case; the chap who always says "thank you" to the waitress; the fella who loves and protects his mother. "This Is How You Lose Her" is Yunior's life playing out before you because Junot Diaz is a genius. He marvels with quick-fire dialogue in voices so painfully real and relationships so utterly close to home, wherever that might be. "A Room With A View" is a demonstration of E.M.Forster's depth of emotion and his keen understanding of human dynamics. Reading Lucy Honeychurch's story of loving freely and openly is both liberating and idealistic. "I want to but I shouldn't" is an oft-whispered reproach to one's self. But perhaps, even if for once in our lifetimes, we could tell ourselves: We should; fields of poppies, notwithstanding. I love this series that celebrates the stories of incredible people. What I really like about the series is that each of these amazing individuals is depicted from their days as a child, and we see there is not so much difference between them and ourselves. They started out as children, like us, with hopes and dreams, and it’s their choices along the way, their determination not to give up in the face of discouragement or ridicule, or failure, that led them to making their mark. Each book is illustrated by a different artist, and I very much like the flat style of illustrator Leire Salaberria here, with a focus on line textures. 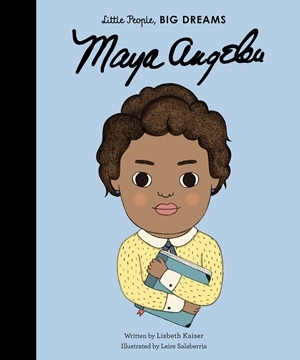 Maya Angelou’s story sang out as one of a child who lost her voice due to trauma, then grew to become of the most powerful voices of strength and hope we know. It’s hard to believe this indulgent hardcover of twelve Sherlock Holmes stories is going for a steal at only $29 at BooksActually. Fans of Doyle’s longer fictional works like the Hound of the Baskervilles will lap up these bite-sized morsels that can be read in one evening’s sitting. The book opens with the story of how Holmes’ came to be involved with the most significant woman in his life, mastermind Irene Adler (‘A Scandal in Bohemia’). Other stories are just as delicious, with intriguing scenarios such as a mysterious club that only admits red-headed men (‘The Red-Headed League’) or the hilariously titled ‘The Adventure of the Engineer’s Thumb.’ A comparable joy is the illustrations by Sophia Martineck. The distorted perspective and flat treatment make every spread a puzzle to discover. This edition of the classic by Puffin Chalk is a gem to keep. The new line by Puffin Books reissues children’s literature classics with beautiful chalk cover designs. New York-based illustrator Mary Kate McDevitt’s cover is a graphic delight of tilting, tipsy fob watches, red roses, crazily stacked steaming teacups and of course, Alice and the Cheshire cat. While this was published almost ten years ago, it’s worth including for the sheer delicacy of relationships portrayed here. Niffenegger, who wrote the unforgettable, make-you-weep The Time Traveller’s Wife, deftly weaves nuances of emotion in every fraught situation her characters encounter here. A pair of adult twins fall out and never speak to each other again. One woman goes on to have children–twin girls–and the other has none. The twin girls are left with their aunt’s apartment when she dies, on condition that their mother never steps inside. Throw in an awkwardly attractive grieving partner who is in between the ages of aunt and twin girls, and a troublingly gripping situation ensues. Not everyone has found their someone, and some may have found and lost them, through a broken relationship or marriage ending in divorce, or death. For these people, Valentine’s Day brings especial pain. This powerful, tender book by self-healing advocate Louise Hay and loss expert David Kessler guides the broken-hearted through the emotions of grieving a lost relationship, nurtures self-awareness and provides them with the self-compassion and tools to help them grow, find peace and heal. 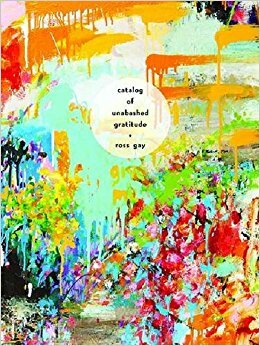 Ross Gay sing-speaks through this exuberant poetic foray into the natural world and the natural self. The lines above came from an ode to his misshapen, ugly, yet somewhat resplendent feet. This is a photographic conversation between two lovers, a kind of imagistic exchange of love notes. Alex Webb calls it ‘a kind of long, elliptical, unfinished love poem.’ The collection pairs 80 images taken by both of them over the course of their nearly 30-year relationship. The photographs appear side by side, creating a series of visual rhymes that talk to one another. Sometimes, they are only held by colour. Other times, by geometry; the wings of a bird on a fresco, the splayed hands of a little girl holding on to the cathedral’s grating. Meanings aren’t definitive. Then again, neither are relationships. But there is an invisible fulcrum about which the pairs of images pivot. 'A gift, this distance we’ve traveled so far,’ writes Rebecca in one of her poems. The gift comes to us unconditional; rich with depth and colour, a stereoscopic serenade that embraces us aslant.